For over a century wine lovers, viticulture experts and dedicated followers of taxonomy have pondered the fascinating question of Zinfandel’s origins and migratory route to the US. No less so than in California, where the grape settled in the early 1800s and easily adapted to the topography and climate in regions like Napa, Sonoma, and Mendocino. Often recommended for Thanksgiving and touted as “America’s heritage wine”, Zinfandel reigns as California’s signature red and seems as All American as apple pie. But Mike Grgich, a native of Croatia and co-founder of Grgich Hills Estate in Napa, had his suspicions. 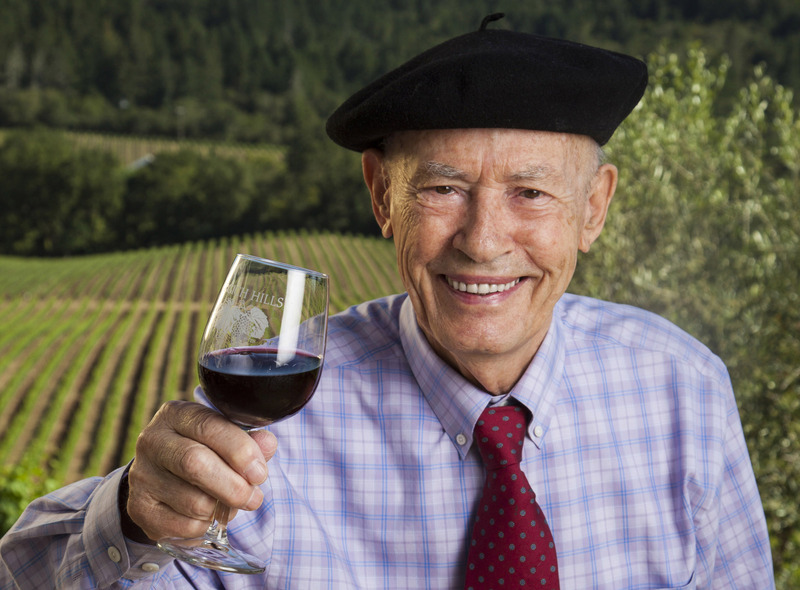 Arriving to California in 1958, Grgich noticed that Zinfandel vines he encountered seemed like familiar old friends, the wines tasting just like the vino his father fermented back in the Old Country. “Looking at the vines I wondered am I in California or Croatia”, he laughed during a scene in the film, Dossier Zinfandel. Grgich was not the only one to notice. In 1967 Austin Goheen, a plant pathologist at UC Davis, observed that Primitivo in the Puglia region of Italy closely resembled Zinfandel. Following an axis directly across the Adriatic Sea to the Dalmatian coast of Croatia, Goheen discovered Plavac Mali, an indigenous variety that shared characteristics with both Zinfandel and Primitivo. Isozyme analysis (a sort of plant fingerprinting a precursor to DNA profiling) revealed a high probability that Zinfandel and Primitivo were one. Tests on Plavac Mali however were inconclusive. Compelled by these findings, an American wine historian, Leon Adams, contacted Mike Grgich, who continued to advocate that Zinfandel hailed from Croatia and could be Plavac Mali or a close relative. In 1983 Adams traveled to Croatia and reported that the leaves of the two varieties were “identical” and Plavac Mali wine “could easily be accepted as Zinfandel”. Following with keen interest the unfolding Zinfandel/ Primitivo/ Plavac Mali mystery was Dr. Carole Meredith, a grape geneticist at UC Davis and leading pioneer of DNA profiling to establish interrelatedness and ancestry of wine grape varieties. Her team is credited for identifying the parentage of Cabernet Sauvignon, Chardonnay and Syrah, among others. Intrigued, she turned her attention to Croatia. According to Meredith the “serendipitous moment” descended in December 1997. Two Croatian scientists, Dr. Ivan Pejić and Dr. Edi Maletić, were undertaking an initiative to genetically identify and catalogue Croatia’s native grape varieties in preparation for the country’s entry into the European Union. With few resources and limited access to the latest technological equipment, Pejić and Maletić knew outside assistance to meet the EU’s strict criteria and deadlines would be required. When the email from Pejić arrived, Meredith had already decided that a journey to Dalmatia to investigate Plavac Mali was essential. All she needed was the right contact in Croatia. “So here’s Ivan asking for my help to use DNA profiling to sort out old Croatian grapes and here’s me, looking for someone in Croatia who could help me find Zinfandel. A perfect fit!” Meredith recalls. 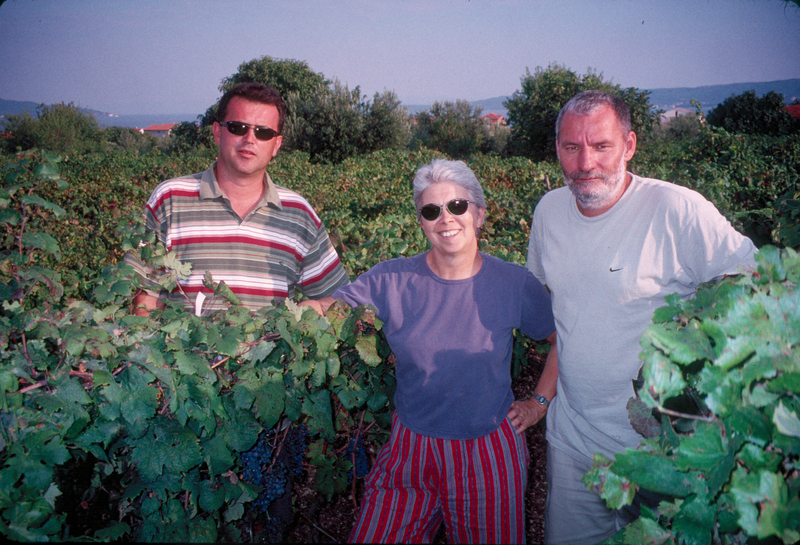 In May 1998 Meredith embarked on a tour – dubbed “Zinquest” – of Dalmatia’s coastal vineyards. 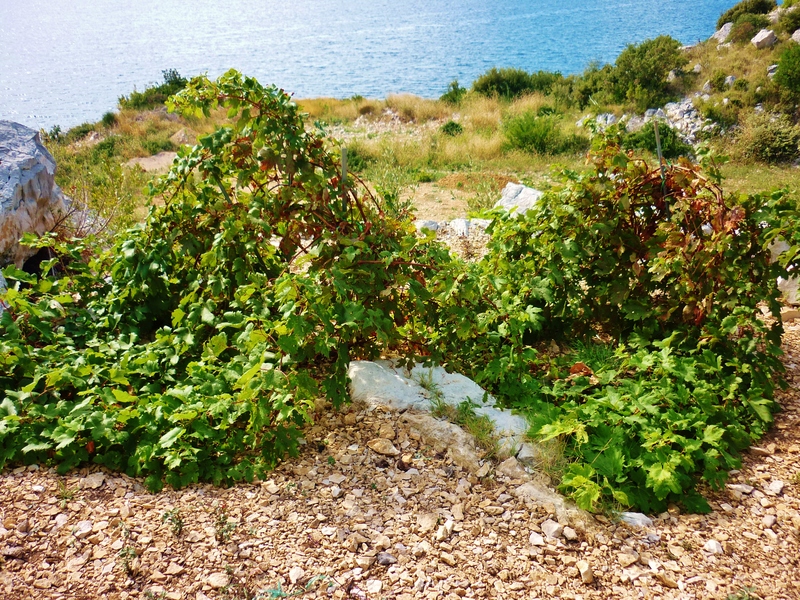 Guided by Pejić and Maletić and assisted by Jasenka Piljac, Meredith collected leaf samples from 148 Plavac Mali vines from 45 vineyards sites on the Pelješac peninsula and the islands of Hvar and Korčula. But it wasn’t to be. None of the samples Meredith brought back to the UC Davis labs exactly matched Zinfandel. With the key piece of the puzzle still elusive, the search was nonetheless getting warmer. Further DNA analysis of leaf material harvested in Croatia indicated a “high degree of relatedness” between Plavac Mali and Zinfandel – perhaps a parent/ offspring relationship. Three other local varieties, Grk, Plavina and Vranac, shared genetic markers with Zinfandel, suggesting that it was once a very old and important cultivar in the area. The presence of a Zinfandel genetic pool in Dalmatia gave Meredith hope. The “original Zin” had to be somewhere in Croatia! For the remainder of 1998 through 2000 Pejić and Maletić scoured – row by row – old vineyards along Croatia’s coast and islands, following every lead and examining every leaf. Meanwhile in her lab at UC Davis, Dr. Meredith continued to analyze DNA fingerprints of vines from Croatia, cross-referenced data against information contained in the university’s database of profiled cultivars. Soon she made a startling and significant discovery: Zinfandel plus an old Dalmatian variety from Šolta island called Dobričić were the parent vines of Plavac Mali. 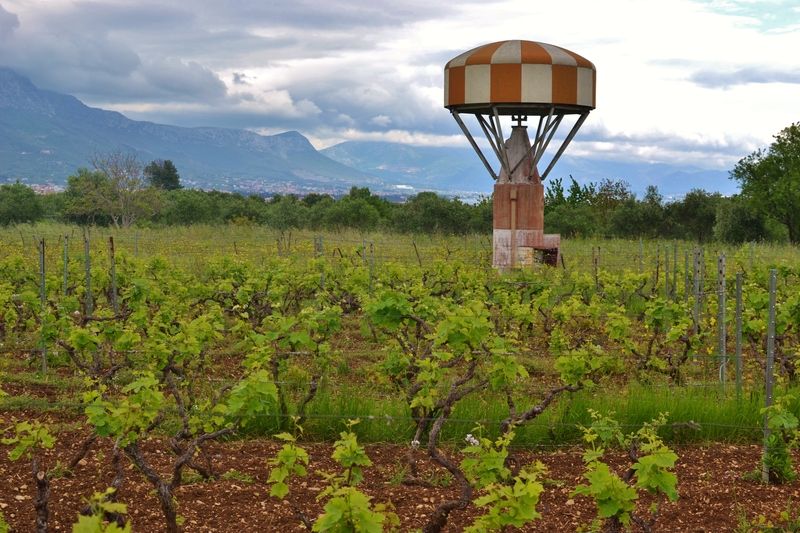 With renewed gusto the search focused on Šolta and vineyards around Split. Late 2000 delivered a breakthrough: Pejić and Maletić learned of a 2.5 acre, 35 year-old plot of mixed varieties in Kaštel Novi. The vineyard’s owner, Ivica Radunić, reportedly wasn’t sure himself what grew there, as many of the vines in the “field blend” were planted by his grandfather. One immediately caught everyone’s attention for its physiological resemblance to Zinfandel. Once again none of the samples matched. The suspect vine turned out to be another local variety, Babica. After three years searching, Pejić and Maletić were nearly out of funds and felt demoralized. In the spring of 2001, in a last ditch effort they decided to revisit Radunić’s vineyard. Noticing that many of vine stalks were intertwined and easy to confuse, they carefully collected new samples from a specimen Radunić identified as Crljenak Kaštelanski. The results arrived on December 18, 2001. “We have a match for Zinfandel. Quite convincingly, finally!” Meredith reportedly wrote in an email to Pejić and Maletić. As it turned out, Mr. Radunić’s vineyard in Kaštel Novi contained eight more Crljenak Kaštelanski vines. Others were eventually located near Omiš, where locals referred to the variety as Pribidrag, a variation of Tribidrag – the ancient Croatian name first mentioned in the 14th century. Because Tribidrag is the oldest recorded name for the variety, the rule of anteriority takes precedent. Jancis Robinson, co-author of the essential tome, Wine Grapes, under the entry for Zinfandel simply states, “See Tribidrag”. Meredith offers a simpler approach, referring to the assortment of synonyms as “ZPCT”: Zinfandel/ Primitivo/ Crljenak/ Tribidrag. 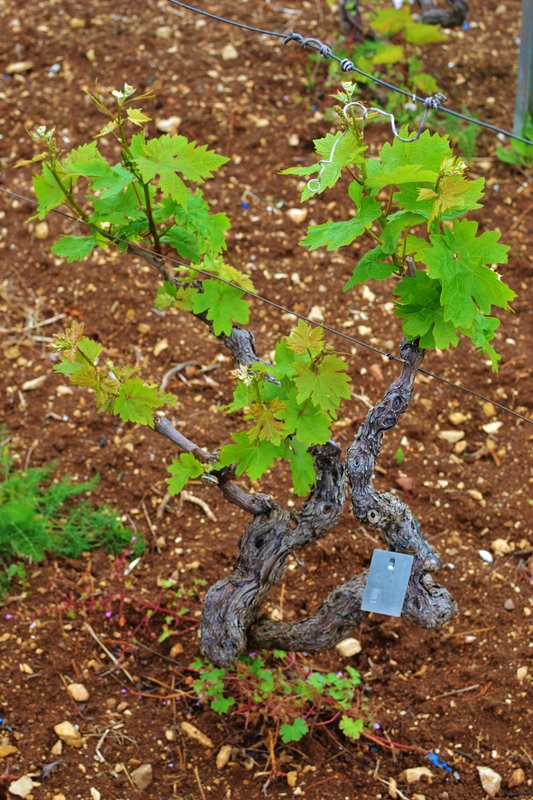 The handful of Zinfandel vines discovered in Croatia in 2001 propagated to over 2,000 by 2008. Today, over 400,000 ZPCT vines have taken root in a massive repatriation initiative. Zlatan Plenković, a leading producer from Hvar, sowed over 50,000 vines in the foothills of the Dinaric Alps near seaside Makarska. Around Radunić’s vineyard in Kaštel Novi local vintners have embraced their prodigal grape by planting over 20,000 new vines. Commercial producers include Vuina and Putalj. Elsewhere in Dalmatia, the Zinfandel renaissance is flourishing in Omiš, Komarna, Hvar, Brač, Pelješac, and Konavle. However, virus infected plant material is a major issue facing growers. All original ZPCT plants in Croatia tested positive for viruses. Pejić and Maletić now lead a project to eliminate viruses and build a “mother block” of cleansed vines. Meredith reports the mother block currently contains 150 virus-free vines obtained from UC Davis from eight sources, including Crljenak and Pribidrag from Croatia, Primitivo from Italy, and “three selections from old California vineyards chosen for the Zinfandel heritage selection program” – all ready to propagate the next generation of Croatian vineyards. No one expects Zinfandel to supplant Plavac Mali as the primary red grape variety in Croatia. 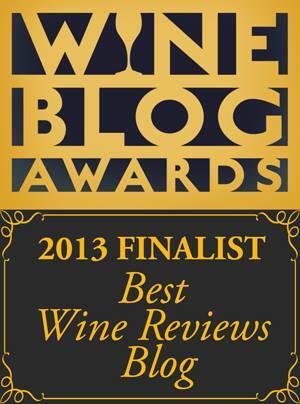 Yet wineries are eager to bring the grape home and capitalize on its fame and familiarity. 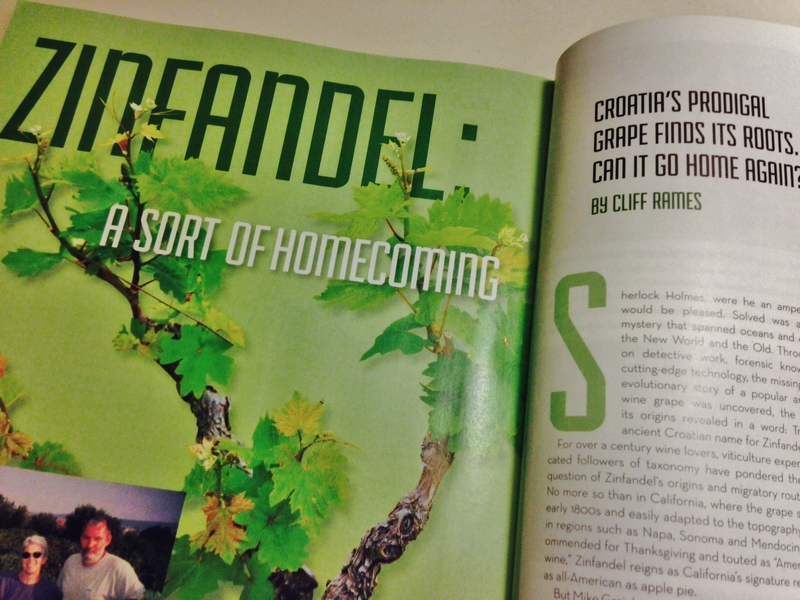 Meredith believes that Croatian Zinfandel will never be more than a “wine geek” curiosity. But she also thinks that Croatian producers could capitalize on the Zinfandel story to promote Croatia as “a fine wine region with undiscovered wine gems”. Presently over two dozen Croatian wineries produce Zinfandel, but just a few are commercially available. In the US, Zlatan Plenković Crljenak (VinumUSA), Vuina Crljenak Kaštelanski (Terraneo Merchants), and Korta Katarina Plavac Mali/ Zinfandel Rosé (Katharine’s Garden) are currently available. Robert Benmosche, the former CEO of AIG, also produces Zinfandel from vineyards he owns on the Pelješac peninsula. My dear Cliff, it was, as it always is, a pleasure to see you at the Vina Croatia Grand Wine Tasting. I am grateful that the team at VisitCroatia.com and I have the opportunity to know someone as articulate and passionate about Croatian wines as you are. We appreciate your passion, and continue to always benefit from the unparalleled knowledge you have about the wine scene of Croatia.